On December 27, 1857, Republican Congressman, educator, and conservative and diplomatic advocate for racial equality Henry Plummer Cheatham was born into slavery near Henderson. 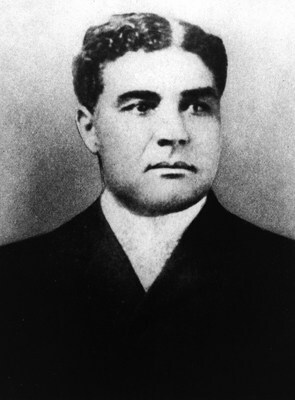 Cheatham graduated from Shaw University in 1882 after being educated at a common school for blacks in Granville County, and went on to help found the N.C. Orphanage for the Colored Race at Oxford. He then returned to Shaw for graduate school and served briefly as principal of the State Normal School in Plymouth, before moving into a nearly 20 year career in government and politics in the late 1880s. Despite increasing Jim Crow legislation and disfranchisement of blacks in the 1880s, Cheatham defeated white candidate Furnifold Simmons in 1888 to be elected to the U.S. House of Representatives, becoming the only black member of Congress from 1889 to 1893. After failing to win re-election in 1894, he was appointed by President McKinley as Recorder of Deeds for the District of Columbia in 1897 and served there until 1901. He then returned to North Carolina to finish out his career, serving as a director of the orphanage in Oxford until his death in 1935. He also served as a delegate to the State Convention of 1892 and the Republican National Conventions of 1892 and 1900.